This was just awesome. Easy as can be and while delightfully colorful before the grilling, it all turned a lovely brown after the fact. 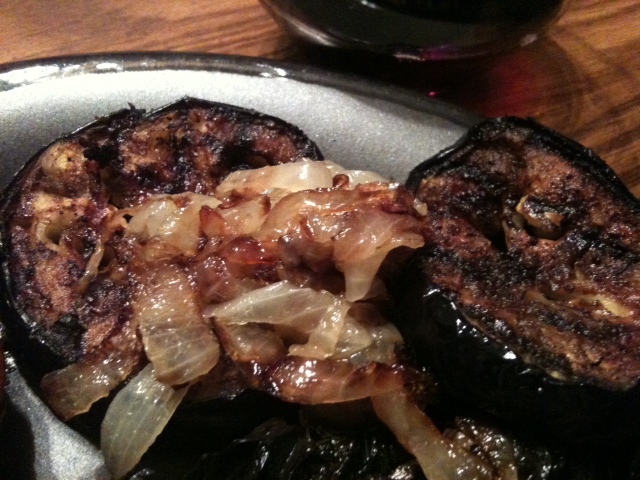 In the picture all you can really see are two eggplant slices under a mountain of onion, but aren't they gorgeous! The nutrition is excellent even with the oil. Bastes and marinades are difficult to measure for nutrition because so much does not get consumed. I did my best to guestimate how much would actually be on the veggies when they were done cooking. To make this all you need besides the ingredients is a husband that loves to grill, about five minutes of your own time, and about 20 of his. Slice up the eggplant into 1/2 inch or so thick rounds (cut off the ends a bit first). Slice the yellow squash either vertically or horizontally in the same way depending on if you are using one of those little grill tools that captures the smaller veggies (horizontal cuts) or if you are going to lay them on the coals and need them a bit bigger (lengthwise cuts).. or if you want, you can put them in double foil packets and cut them any old size you want, but you won't get the same grill marks that way. Yes. Leave the skin on the eggplant if you like. It all depends on you taste. Some people do not like how the skin is a bit tougher than the rest of the veggie. If that is you, then peel it before slicing. Then it will be all melt in your mouth tenderness... but you will have cut off a lot of nutrition. Your call. Immediately after cutting the veggies, brush the baste both sides of each piece. Grill for 15-20 minutes or until the veggies are cooked to your preference. Some like them more crispy, some like them soft. You do it your way. I had a package of green beans, one of those plastic containers of cherry tomatoes, and an onion and decided to make something a bit different. If you are into calories, this dish is very low cal. There are a lot of options when making this. Play around with the ingredient proportions and seasonings and make it your special recipe. 1 t dried basil ... although now that I think of it, fresh basil would be awesome, maybe 1/4 cup packed? Remember to do all your prep ahead of time - all cutting and measuring. Put the spices in a little bowl. 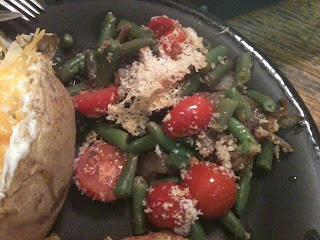 In a casserole dish, nuke the green beans in a little water until crisp tender. My microwave is old and I nuked them for eight minutes. You may only need to nuke them for four-five minutes if you have one of those new fast as lightening microwaves. 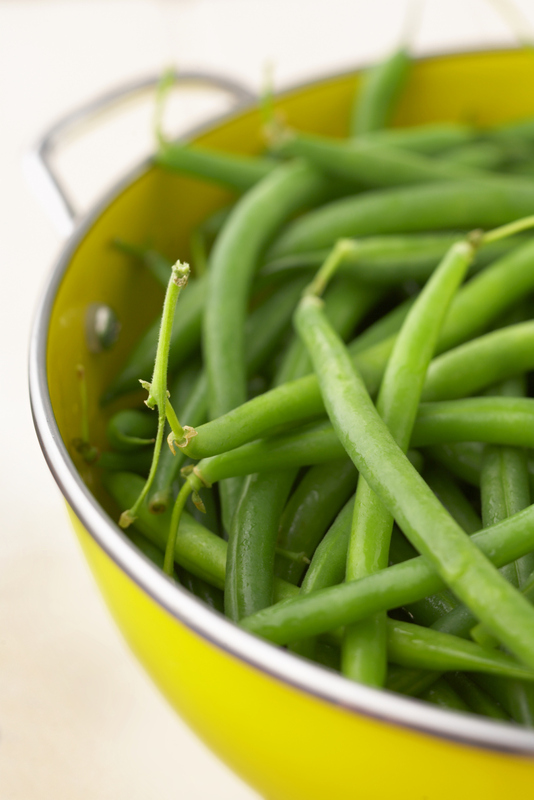 Drain, remove the green beans to a bowl, allow the casserole to cool, wipe with a paper towel. 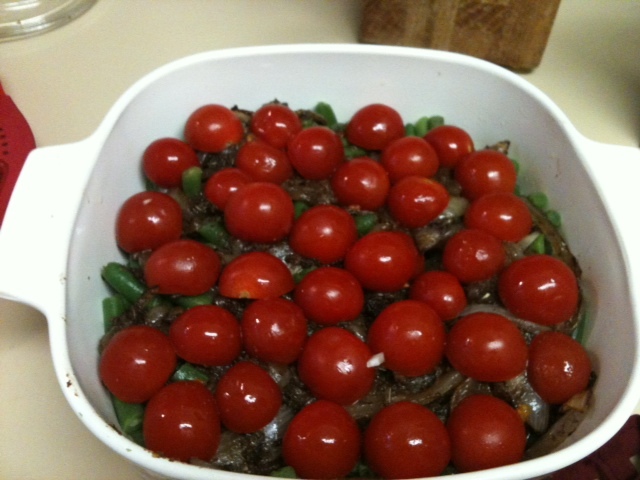 While the green beans are a-cooking, heat a non-stick pan over medium heat. When the oil is shimmering, add the onion and saute until caramelized. You may give one or two twists of salt at this point - it does make the onions taste great when you "check" on their state of caramelization every now and then by tasting several of the delectable strands. Do not stir too often as it is sitting on the pan a bit that will make them brown up nice. When the onions are nicely browned, add the garlic cloves and saute for another couple of minutes. If you are using ground garlic powder, then add it with the other seasonings. After the garlic has sauteed a tad, dump in the pepper, basil, and oregano (and garlic powder). Saute for one minute. Stir in the vinegar and stir another minute. Remove from heat. 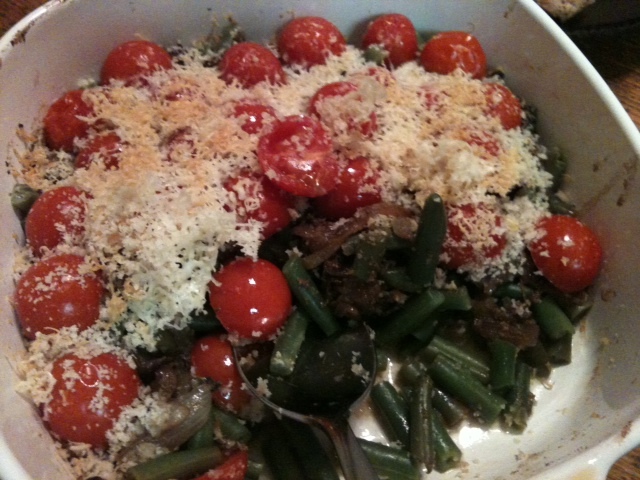 Spray the casserole with Pam and add the green beans, top with the onion mix, top that with the cherry tomatoes, top that with Panko, and then give a light sprinkle of Parmesan all over the top. Pop in the oven and bake, uncovered for about 25-30 minutes or until the cheese is lightly browned. This is good left over, but the Panko will no longer be crispy and as mindful as it was the day you made it. My daughter just loved "tias and holies!" Tortillas are easy to make and very flexible. Increase the whole wheat flour if you like. Traditional tortillas are made with lard, but as lard is not so popular these days, here's my version using shortening. Mix the flours, salt, and baking powder in a medium sized bowl. Then add the shortening. You can start by cutting it in like you would baking powder biscuits, but it's really a lot more fun to mess around in it with your hands. Mix and knead the dough until it's smooth and sort of like pie dough. Cover the mound of dough with a wet tea towel and let it sit quietly at rest for about a half an hour. Divide the dough into 16 equal rounds - roll them all up into nice little balls. On a floured surface, roll each ball to form a large thin circle. You can stack these with wax paper between them and set them by the stove so they are all nice and handy. Heat a skillet over medium heat. Dip a paper towel into some good oil like canola or vegetable and quickly wipe the skillet. Add one tortilla and cook for only 1-2 minutes on each side. Cook just until the brown spots start appearing. Cook them all, stack in one of those nice tortilla warmers if you have one and then enjoy. You will never have a more mindful burrito or taco experience. I grew up in the Midwest US eating up all the plain cookery that is made there. We had corn of course because so much is grown in Central Illinois. We also ate ground beef casseroles, fried chicken, pot roasts, and tomatoes. Seasonings consisted of salt and in the more daring presentations - bit of black pepper (ground fine and from a little can). I lived there and ate this way for about 25 years. Then we moved to Houston, a city known for its amazing restaurants featuring every possible cuisines found on the planet. I cannot say I dove right in and started sampling all the flavors, as I did not. I did expand my small town palate a bit and soon loved the more manageable Tex-Mex. It took some time before I ventured passed Tex-Mex and on to the foods of countries I only knew about because of world news reports. This dish began life somewhere as a Moroccan recipe, but as I am unable to leave a recipe alone, because my husband really cannot tolerate a chickpea that has not been hummusified, and because he also does not care for the texture of regular couscous, I did mess with the recipe and really cannot stand here and pretend it is Moroccan anymore. So, I am about to create an entire new classification of food for this blog - Moroccan American - if you lose this recipe in the posts, look for it there. If you are into the nutrition of foods, here it is, the calories include the couscous but not the side dishes. 1 T good oil - pure olive oil is ok but do not use extra virgin as you will be doing a high heat saute and brown and EVOO will smoke on you. There's a nice blend of canola and pure olive oil that has a nice high heat point and will not smoke. That way you can have a bit of the good for you oil. 1 medium - large onion, chopped - the size depends on just how much you love onion. 8-10 whole cloves, crushed - I used my garlic press! 1 1/2 teaspoon of turmeric - somewhere along the line I found a place that sells turmeric that is more mustardy in color than the dark orangey brown stuff usually found in the supermarket. I think it tastes better and if you can find it, do get it. 2 (16oz) cans great northern beans, drained and rinsed - if you are not married to someone that hates chickpeas, use those instead and your dish will more resemble real Moroccan food. If you can, get organic and look for a brand like Eden that sells beans in BPA free cans. 2 cups (minimum, go ahead and have more ready) salt free chicken stock (I'm a fan of Kitchen Basics). Set a large pot on the stove over medium heat. Add the oil, and when it is shimmering add the onions. Saute until they are nicely softened - probably about five - ten minutes. Dump in all the spices and stir things up a bit for a minute - increase the heat to medium high. Then add the chicken and cook until it starts to brown. Add the beans, tomatoes, stock. Bring to a simmer, reduce heat to low and allow to cook for a couple hours. The time is necessary as the seasonings really meld and morph during that time. Now, this is where you may want to make an adjustment. Ideally, this dish cooks itself a bit thick. *If it is too thin, mix up some cornstarch (about 1T) in some of the stock and then add it to the pot. If the mixture is too thick, add more stock. I kind of like the consistency you get with the cornstarch and will use it anyway - the first time I made this I put in WAY too much stock and had to thicken it. It did help that the son kept tasting it and reducing the stock in that way. About 45 minutes before serving, add the carrots and zucchini. after 30 minutes taste and adjust the seasonings. You may be a salter. If you are, this is the time to add a little. About 15 minutes before serving, start cooking the whole wheat pearl couscous in a medium sized pot. Add the spinach to the meat mix and stir a few times while it wilts. 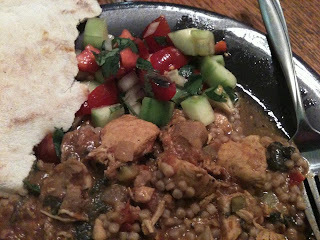 To serve, spoon couscous on a plate and top with the Moroccan Chicken. In the picture above you can see that I served it with a piece of pita bread and Shirazi Salad from The CC Palate. 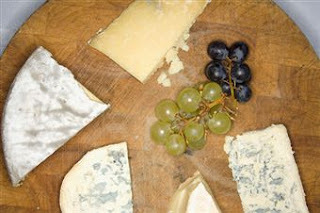 Each country has a traditional time to present cheese at a meal – Americans enjoy it as an appetizer, the French at the conclusion of the entrée and before the desert, the British as the glorious end to the meal. How many varieties of cheese you select for your board will depend on how many people you are serving, if it is the post dinner cheese, or if it will serve as the main course with crusty bread after a deliciously seasonal vegetable soup. Select the cheese that appeals in the amount that is right for you. Consider cheese as representatives of one country or region. Take the time to research the different cheeses available. Select three or four different types. Buy or make a good crusty whole grain loaf of chewy bread. Choose perfectly ripened fruit – apples, figs, red grapes, or pears are standard but very good choices. Choose fruit local to the same area as the cheese. Prepare the fruit right before serving so it will look beautiful throughout the meal. Or, supplement the cheese with a simple leaf lettuce salad tossed with a bit of light Dijon vinaigrette. Purchasing the best cheese you can find is important because you are not going to eat a lot of it. Just little nibbles of it. Even if you choose to have it as your entrée after a nice bowl of soup, you should only have 3-5 ounces. Each ounce is going to have about 100 calories and quite a lot of that will be fat. Over eating cheese does not honor the incredible flavors that the cheese makers put together for you in such lovely rinds and waxes. One ounce of each type is more than sufficient. If you are eating your cheese as a prelude to dessert, then one or two ounces is all you need. Enjoy the flavors well and you will be fully satisfied. Allow the cheese to come to room temperature on a nice wooden cutting board. If you have a cheese knife that is wonderful, but it’s not really critical – just use a good sharp knife for each cheese – do not mix the cheeses with one knife. Arrange the fruit or salad, napkins, little plates, and silverware in an appealing way as you set a charming Cheese Table Tableau. Cheese is part of the French Paradox. The Cheese Paradox is that French people enjoy cheese at almost every meal and, if they eat in the traditional French way, are remarkably slim and heart healthy. One reason for this is that they eat in mindful moderation. They would never think to put two cups of cheese into a casserole. 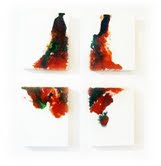 It is enjoyed and celebrated as a glorious food group unto itself with a place of honor at the table. I hope you will give this way of eating cheese a try. Enjoy cheese mindfully. I love soup almost as much as I love Declaring World Peace. I do have a day job though and don't have all day to let pots of soup simmer about on my stove. So fast is the name of the game whenever possible. With this soup, you can go home, chop up stuff for 10 minutes, do a quick saute, and let the stuff simmer just until everyone is home and ready for dinner. If you are interested in nutrition facts, I ran this soup through the analyzer here. 1 onion, use your fave - yellow, white, red, or sweet and the size depends on how much you love onion. 2 celery stalks, chopped - do not throw away the leaves. 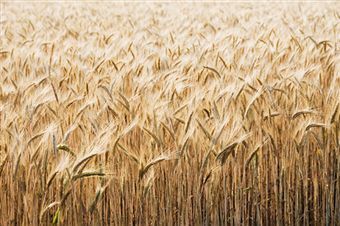 If your stalks do not have leaves then get leaves from the other stalks. Leaves are critical to making an awesome soup. 1 pound of red potatoes - leave the nutritious peels on, just rinse well and chop (remember it's for soup so don't make the pieces too big). 1 t tarragon, dried - or use fresh if you have a nice herb garden and start with maybe 1 1/2 Tablespoons of fresh herb. Remember, when I give you the measurements for spices and such, I am giving you starting amounts. The real amount may be larger as spices are totally to taste. If you are new to tarragon - use about half a teaspoon and add more later if you like it. Let it simmer a bit first before tasting and deciding. maybe some salt if you just have to but really, do you have to? What did your doctor say about that blood pressure last time? This is why I often use Tabasco in place of straight up salt. There's only a pinch of salt in it and the peppers accent the flavors just like salt. A few shakes will not make it hot. Always prep your ingredients. Slice, dice, measure, and put all the ingredients together in nice little containers all lined up in order of appearance. Then, when you start cooking you don't have to worry about what you are forgetting. You don't have to madly rush about chopping the garlic which you totally forgot and is added so early on in the process. This is a most peaceful and mindful way to cook. As an added benefit he enjoyment factor is ramped up because you can pretend you are a famous television chef and that your many obsequious sous chefs have done all the work for you. In a large soup pot, heat the olive oil over medium high heat and saute the onion until it is clear and starting to brown up a bit. Add the celery and cook oh, another five minutes or so. Sauteing really brings out the flavors so do it. No cutting corners and just dumping the veggies in. Add the garlic and saute for another two minutes. Add the stock, potatoes, green beans, parsley, tarragon, white pepper, and Tabasco. Bring just to a boil. Reduce the heat and simmer covered until the potatoes and beans are well cooked. 15 minutes should do, but it won't hurt it if it cooks longer. Taste and adjust the seasonings. You may want to experiment with adding other herbs such as Herbes de Provence or thyme. With this soup, I Declare World Peace. Enjoy in the most mindful way possible. 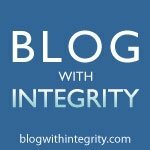 Don't forget to follow me at my new website! Mindful Palate where you can Breathe, Slow Down, and Cook Some Good Food. As you all know, I enjoy eating beginning with First Breakfast, continuing on over the course of the day eating pretty much like a Hobbit. A nice quick starter First Breakfast before heading off to work, then about midway through the morning a lovely Second Breakfast, Elevenses (a tiny snack before the lunch walk), and so on. You need two really great eggs. I know they are expensive, but what good does it do your body to put less than stellar stuff into it? We don't eat as much beef anymore, but when we do, I get the best I can. You can do the same with eggs. When it matters - and it does in this dish - get the best. I love Country Hen Eggs because I can get them at the local HEB. Central Market free range eggs are another good choice and a little less expensive. If I had a farm nearby, I'd use their eggs instead. If instead of living in a great huge metroplex of nearly 4.5 million people I had a little home in the country, I'd have hens. Break one of the free range naturally fed eggs into a bowl next to one of your regular eggs. You can see the difference in the color and size of the nutritious yolk. Oh, breaking the eggs into a bowl is always the best way to start the prep for this dish anyway. All you have to do then is just turn them out onto the pan to cook when it's their turn and you'll never break a yolk. 2 t habanero olive oil... ok, you may not all have habanero oil. If you don't use your fave sauteing oil. You can always jazz up the taste with some crushed red pepper flakes or cayenne or Srirachi Sauce or whatever you love the most. 1/2 - 1 cup of onions all nicely sliced (how much depends on if you are an onion lover or not). I use about 1/4 - 1/2 t of turmeric. Some of you will find that too much, but it's what I like. You may want to start with more like 1/8 t until you find out if you even like the stuff (it has a rather peppery flavor). If you have arthritis though like I do, you will find that the turmeric eases your inflammation and rocks the painful hands. Then you need about 2 cups or more of fresh torn spinach. Prep this before cooking too like you did the eggs. That's it. Five things. Oh, and a nice pan just the right size to cook Breakfast for one... and strips of red, green, yellow, or orange peppers are always good to add with the onions. Ok, I guess that makes it seven things. Yes, the spatula and spoon make it nine. Picky picky picky. First, heat the olive oil in your pan over medium or just over medium heat and saute those onions til they start to brown and caramelize. Let them sit a bit instead of constantly stirring otherwise they won't brown. They need contact with the pan to do that. To truly caramelize them you will need about 20-30 minutes of slow cookery. The goal is to accent the natural sweetness of the onion. If you don't have time, just cook them til they brown a bit. In the pic below, they are not caramelized, just browned a bit. When they are browning nicely, add the turmeric and stir for a minute inhaling the most awesome aroma. Then add the spinach stirring until the spinach is nice and wilted. Plate this. Return the pan to the stove (you may want to add a little more oil). Now, if your pan needs more oil, add a smear. Gotta have some to cook those eggs. Gently tip them into the pan and allow to cook until the whites are mostly but not completely set. Loosen the edges if you need to and gently slip the spatula under the part with the yolks and flip fast but as gently as you can. Flipping is one of those things that some people are good at. I am not particularly, so sometimes one of my eggs will leak a bit. They still taste good. It should only take a minute or two to finish the eggs depending on how "done" you love them. Then plate them over your veggie mountain and enjoy mindfully. Marvel at all the spinach and flex your Popeye muscles.